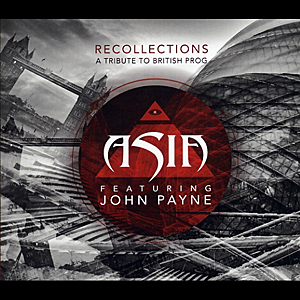 Blurb: A collection of covers in lieu of the new material fans of John Payne have been waiting for, this celebration of Payne’s influences in British progressive/rock seems hardly worth the effort. In 2008, keyboardist Geoff Downes reformed the original lineup of ASIA, leaving bassist/vocalist John Payne without the band he had spent 14 years fronting. Retaining a significant share of the rights to the name, Payne continued in his own direction with ASIA featuring John Payne, and while the lineup has changed several times since 2008, the “Seasons Will Change” single in 2012 was the first solid indication of AfJP’s creative direction with the promise of a new album, Americana. 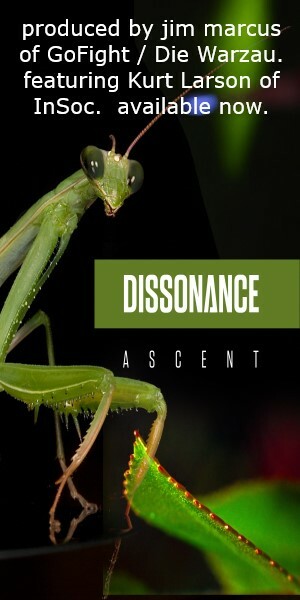 Unfortunately, this album has yet to materialize, leading many to wonder what Payne and his cohorts truly intend with the ASIA moniker; to fill the void, the band offers Recollections (A Tribute to British Prog). As its title suggests, Recollections is a collection of interpretations of songs from some of the best known bands to emerge from the British progressive rock movement. Payne is no stranger as he’d for several years been an active participant in the Las Vegas musical Raiding the Rock Vault, in which he and a cast of other top musicians perform covers of classic rock. While this format certainly should allow for the instrumental capabilities of Payne’s ASIA to shine, the choice of covers seems to veer towards the safer, more accessible leanings of the genre. This is, of course, with the exception of “Court of the Crimson King,” treated rather faithfully except for the smoother arrangement of Erik Norlander’s arsenal of synthesizers, and while a Mellotron is present, the song is rather slickly produced and somehow feels tepid by comparison. As well, it demonstrates some of the shortcomings of Payne’s aging voice as his attempts to reach the higher registers he once excelled now result in a small amount of throaty bellowing. Similarly, the version of Yes’ “It Can Happen” is almost note-for-note to the original, but Payne’s ill-advised use of falsetto to approximate Jon Anderson’s distinctive tenor, even with the assistance of Sharlotte Gibson, makes the song somewhat laughable. The more synth-driven take on Jethro Tull’s “Locomotive Breath” is more successful in its updating of the original’s driving rhythm into a more modern sensibility, and The Moody Blues’ “I Know You’re Out There Somewhere” is also pretty spot on. It is a wonder why the band opted to fade the instrumental introduction of “Sirius” out instead of having it directly transition into “Eye in the Sky;” faithful and rather excellent reproductions though they are, nothing is served by the two tracks being kept separate, and while the band’s take on U.K.’s “Nothing to Lose” is rather excellent on its own (once again, Payne taking on John Wetton, who originally formed ASIA with Downes in 1982 after U.K.’s dissolution), the absence of Eddie Jobson’s electric violin is keenly felt, although guitarist Bruce Bouillet’s solo makes a valiant effort to make up for it. The album ends with a version of Greg Lake’s “Lucky Man,” although the song makes an unexpected key change after the guitar solo, Norlander’s synths rising in prominence but while he executes Keith Emerson’s MiniMoog solo, it lacks the punchy originality that made the song so memorable. This writer can’t help but feel that John Payne is in some state of creative and artistic crisis, having yet to produce a truly definitive stamp on the ASIA name with his own band, and choosing instead to dwell on the accomplishments of his heroes. Having described Downes’ decision to return to the original lineup as “painful,” one might imagine that Payne has had to reach back to his influences to find a new direction, as well as tackle some possible insecurity. While still an excellent singer, his voice does show signs of fatigue on Recollections; still, throughout the album, he demonstrates his uncanny ability to create marvelous harmonies, which he manages to implant into every track quite stylishly. It can be surmised that fans of John Payne will enjoy Recollections, at least until he and his ASIA can finally deliver Americana, but between that and this album’s own shortcomings, it hardly seems worth the effort that was put into it.